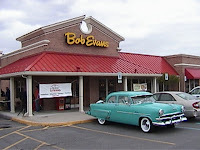 Cloudy skies with cool temperatures and a stiff breeze greeted the members of the Hi Lites Motor Club at Bob Evans Restaurant in Wilkes-Barre, PA on Saturday, April 17th, 2010. This was the first cruise event of the year for the club and expectations for some reasonable spring weather were quickly dashed when visitors started arriving with winter coats and blankets in hand! As is the case for many car cruises in the Northeast Pennsylvania area, the weather has a major impact on the number of cars that attend. This cruise was no exception, as only a handful of dedicated enthusiasts braved the possibility of late afternoon snow flurries to show off their fine rides. 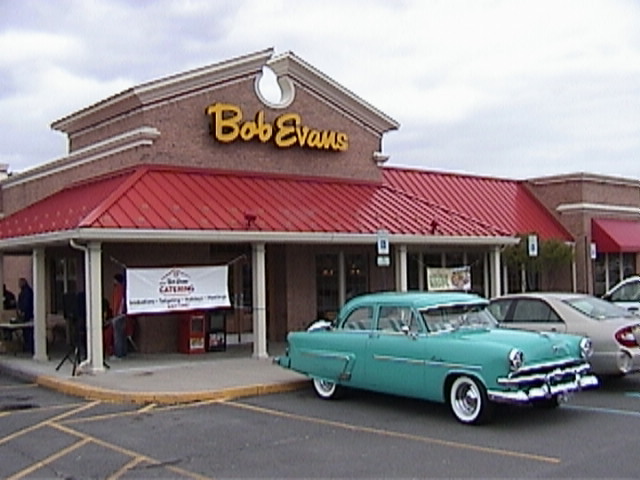 A sincere thank you goes out to the management of Bob Evans Restaurant for hosting the event and for setting aside 15% of all meal purchases made during the cruise for benefit of the Make-A-Wish Foundation® of America.